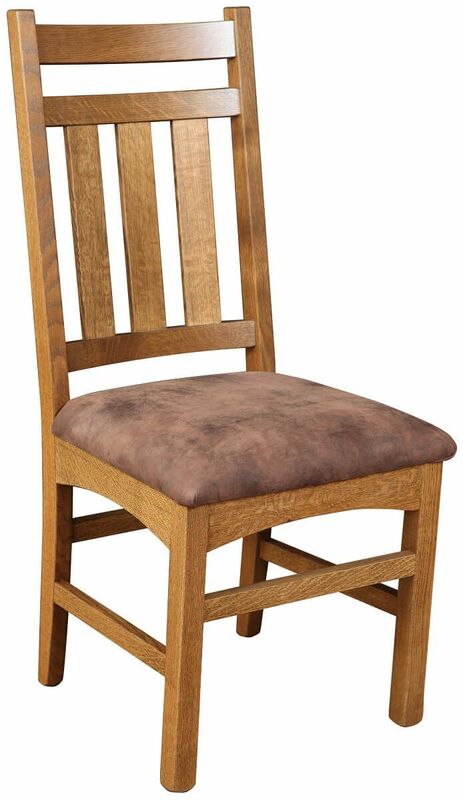 The Biloxi Amish Dining Chair features a distinctively Southwest back, solid wood construction, and mortise and tenon joinery to last a stylish lifetime. Every joint in your Biloxi Amish Dining Chair is reinforced to ensure strength and stability. Your quality mission chairs are uniquely yours when you select the wood, stain, and options you prefer. Our Amish artisans handcraft each kitchen chair to order to maintain the highest standards of style and structure. 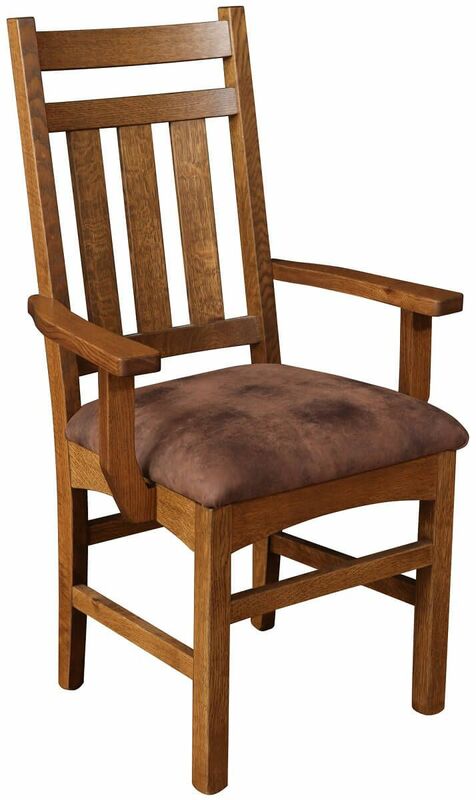 Place your Biloxi Amish Dining Chairs in your online shopping cart and Countryside will do the rest. While the side and arm chairs are pictured with an upholstered seat, this Mission chair is standard with a scooped hardwood seat.